Return of the Living Dead, Evil Dead II, Shaun of the Dead. 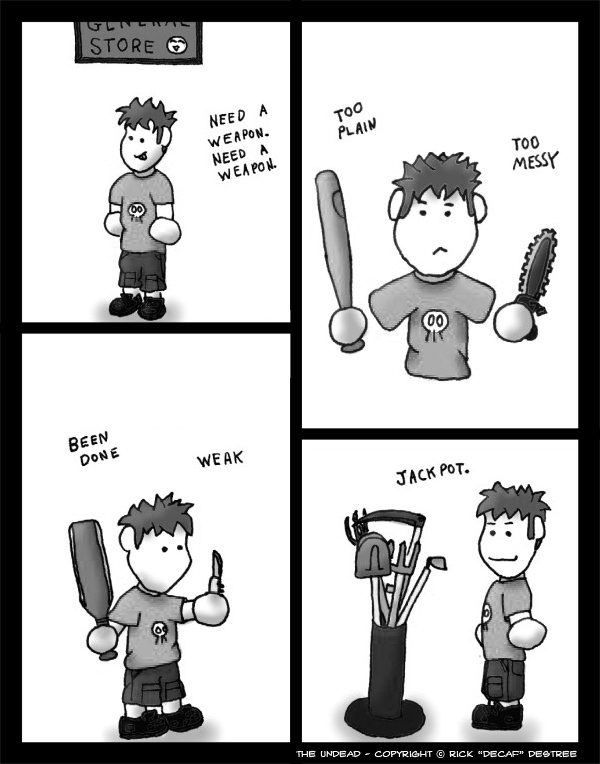 No one ever uses a pocketknife as a zombie weapon. Its just not practical.